New Delhi: Chief Minister Arvind Kejriwal termed the mohalla clinics, set up to revive primary healthcare in the city, as a “big hit” and claimed that around 97 per cent diseases of the patients coming there get cured. 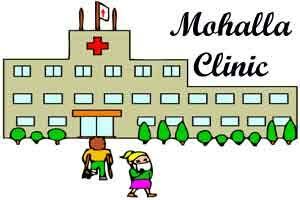 “Among the people who come to the mohalla clinics (aam aadmi clinics), their 97 per cent diseases get cured. For the rest three per cent they have to refer to hospitals…these clinics and polyclinics have replaced the dispensaries which had collapsed,” Kejriwal said. Hundred such clinics are operational at the moment and around 1,000 such facilities will be launched by December 31. On an average there will be three to four such clinics in every municipal ward, he said. He described it as a product of the AAP government’s efforts to usher in a “radical change” in the city’s health sector in the form of increase in allocation in the budget and restructuring of the health infrastructure into a three-tier system. Speaking during the Delhi Assembly Lecture Series’ inaugural talk on ‘Water and Farm Crisis in India’ delivered by veteran journalist P Sainath, Kejriwal identified inordinate expenditure in treatment as one of the reasons behind farmer suicides. In his lecture on rural distress, Sainath, whom the Chief Minister described as someone he admires, also touched upon the issue saying that “health bankruptcy” was mounting across the country, which he said was indicative of the larger agrarian crisis.